All of Newsletter2Go’s servers are whitelisted. Why does whitelisting matter for email marketing? Above all, it helps to make sure your emails get delivered. When a server sends an email, the IP address reads as ‘sender address’ on the email itself. If another server accepts the email (e.g. Gmail.com, Hotmail or Outlook), the sender address is scanned as part of the spam filter process. If the IP address is associated with known spam accounts, the email is blocked and remains undelivered. If, on the other hand, the IP address is on an email marketing whitelist, the email will be sent straight to the user’s inbox. In contrast, IP addresses that are not on a whitelist are individually scanned by spam filters. This may result in an email being marked as spam – even if it isn’t. 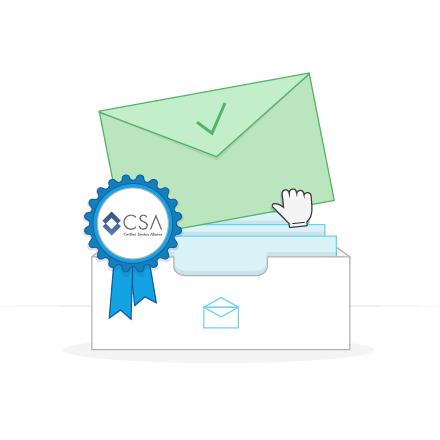 Whitelisting ensures that your emails make it to the inbox – and is therefore pivotal in achieving high delivery rates. Newsletter2Go is a certified partner of the Certified Senders Alliance – one of the largest whitelisting providers in Europe. Our membership guarantees that your emails are delivered securely to all major email service providers, including Gmail, Hotmail, AOL and more. When sending campaigns with Newsletter2Go, you can rest assured that your emails will make it securely to the inbox. To ensure high delivery rates with internet service providers such as AOL, Yahoo! and Hotmail, Newsletter2Go is also a certified partner of the ISIPP SuretyMail program. In addition to higher delivery rates, your emails also have a better chance of bypassing certain spam filters – such as SpamAssassin, SpamCop and SURBL. If you plan on sending high-volume email campaigns, we can provide dedicated IPs. Send your campaigns from an exclusive server that no other users have access to. This means that the server reputation depends solely on you – so your delivery rates won’t be affected by others. We take care of all server maintenance, so you can focus on creating great campaigns. Improve your delivery rates even further with a sender signature. With the DKIM signature, a DNS entry from your website is attached to the sender address. This allows Newsletter2Go’s servers to use your website as further verification that your email is legitimate. Email providers view this as additional proof that your message is not spam. Sending ‘signed’ emails helps to confirm the validity of the sender address – which means less chance of being marked as spam. 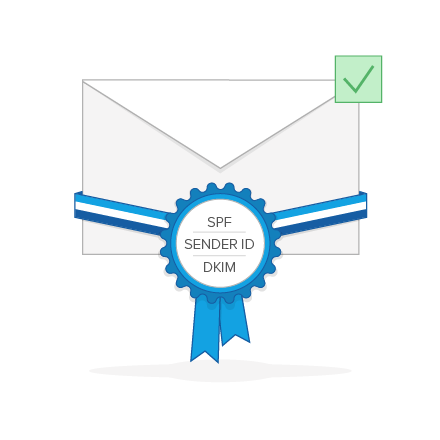 The use of a DKIM, SPF or Sender ID signature also confirms that the sender is the owner of the domain. This is used for email services such as Hotmail, Outlook, MSN, Yahoo! and Gmail. In addition to the above, we also recommend further optimizing your delivery rates by using the DMARC authentication. This authentication protocol identifies you as the unique sender of any given newsletter. DMARC is used and recommend by leading email marketing experts in order to further increase the success of your campaign.